In one of the most productive days you'll ever spend, we'll give you all the training you'll need to put Access to work the very next day. GUARANTEED! As with any tool, Access is effective only if you use it correctly. That's where this course comes in. I've been entering all of my data into Excel. Can I salvage what I've already done and put that information into an Access database? Can Access create a database automatically? If so, how? What's the best way to import and export data between databases? I want to modify an existing database, include and add some fields, remove certain records, that kind of thing. How do I go about it? Shortcuts: I'm sure Access has them, but I haven't been able to find many. What are the best ones, and where are they? 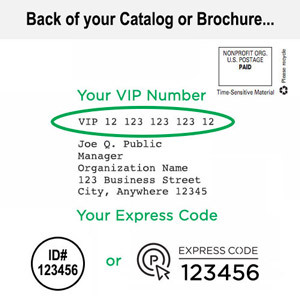 What's a "primary key" in an Access data table? Why do I need one? How does it work? How do I know I've got the right one? My forms aren't very user-friendly. How can I make them easier to work with? How do I make it possible for other users to share my database? Any suggestions for making my data management system expandable as my need for more detailed information grow? 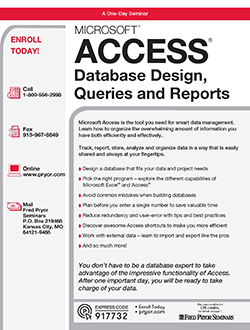 Learn from Microsoft Access pros! As professionals in a variety of technology-related fields, our Microsoft Access trainers bring years of real-world experience, insider knowledge, and technical expertise to the courses they present. Our trainers know Access inside and out, and - just as important - they possess the patience, ability and know-how needed to successfully train others in this extraordinary software program.